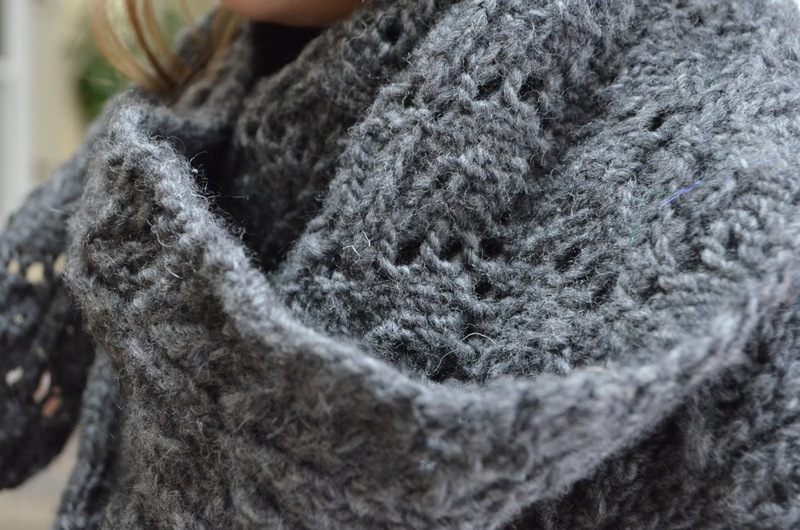 I made this shawl along with many others at our knitting shop as part of a knit along. We were given the pattern, needles, yarn, and instruction for as long as it took to make it. This was the first time I did this, and I would do it again! It's lots of fun to see how others are progressing each week and it is great to have encouragement and help from experts. 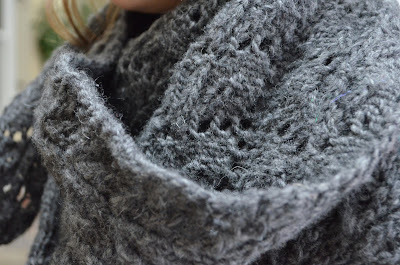 Now that I have finished this shawl, I think that I would like to make another. It was quite difficult for me to get the hang of the lace pattern at first, but with persistence and stitch markers, it became rather easy at the end! Next time I will try a different yarn... one that is a bit smoother. 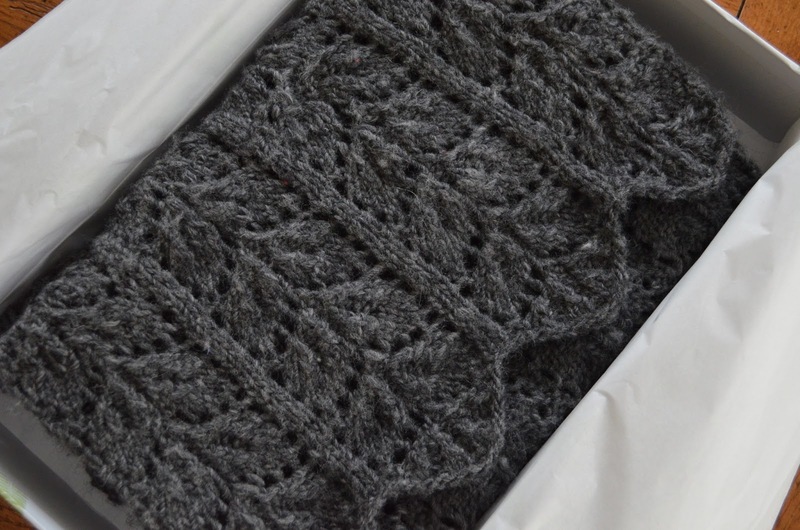 The yarn that was used for this project was thick in some spots and thin in others. 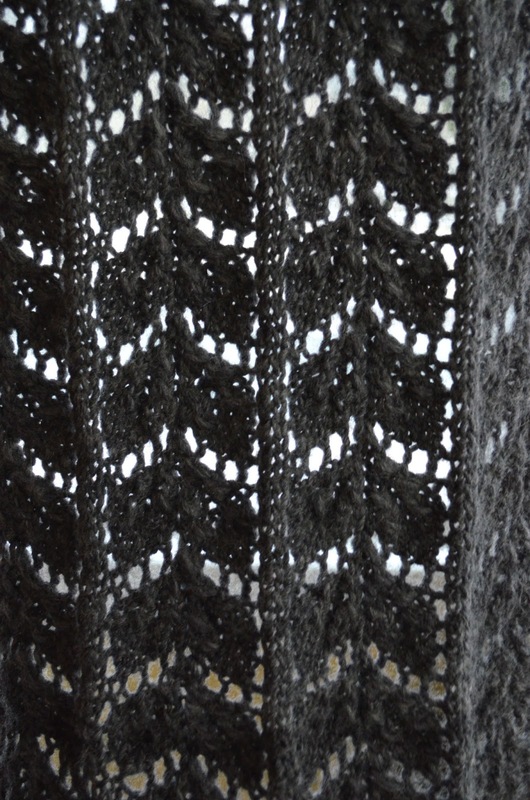 I would like to see what the pattern looks like when using a more uniform yarn. Next up: A Finished Tiny Tea Leaves! It looks wonderful! I still need to try knitting a shawl. The shawl is absolutely beautiful and you did a wonderful job! I am sure Olga was thrilled! Lovely! You're inspiring me to take out my needles and try again. Looks very beautiful. 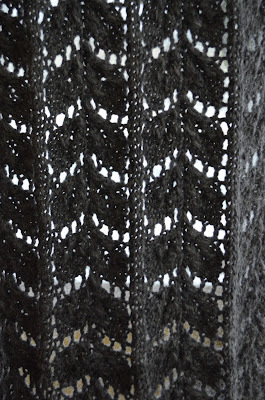 I've tried knitting a shawl earlier this year but the lace pattern played tricks on me. I'll get back to it soon. Thanks for inspiring me! I love the color and the pattern. Great work!